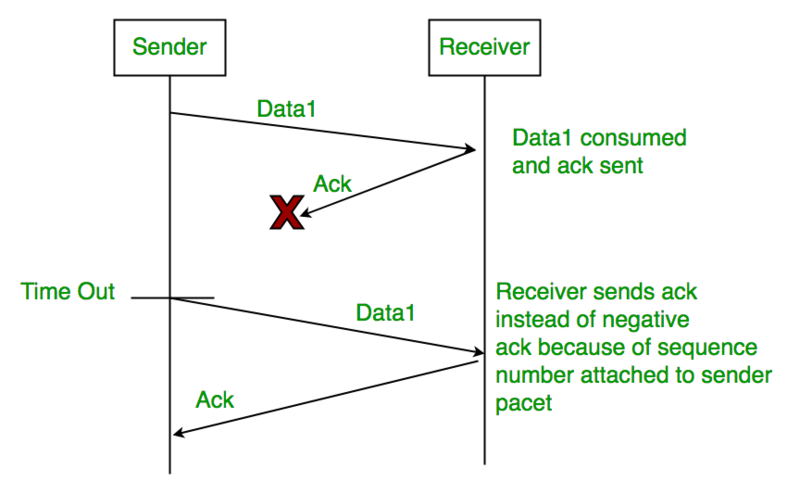 Propagation Delay: Amount of time taken by a packet to make a physical journey from one router to another router. Rule 1) Send one data packet at a time. Rule 2) Send next packet only after receiving acknowledgement for previous. Rule 1) Send acknowledgement after receiving and consuming of data packet. 3. 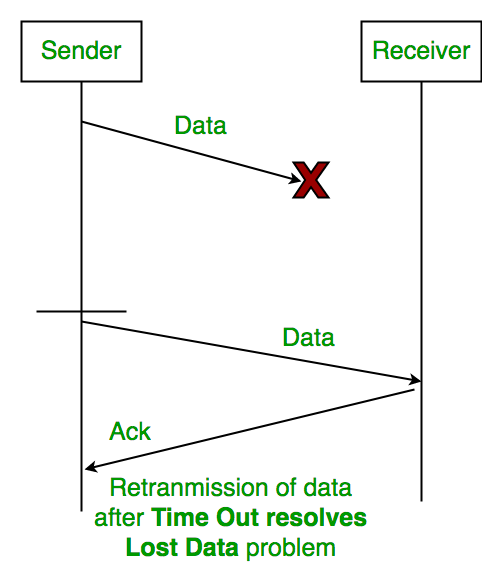 Delayed Acknowledgement/Data: After timeout on sender side, a long delayed acknowledgement might be wrongly considered as acknowledgement of some other recent packet. Above 3 problems are resolved by Stop and Wait ARQ (Automatic Repeat Request) that does both error control and flow control. 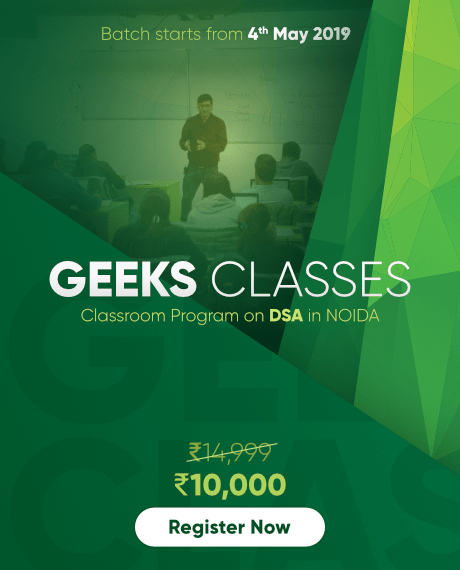 This is resolved by introducing sequence number for acknowledgement also. 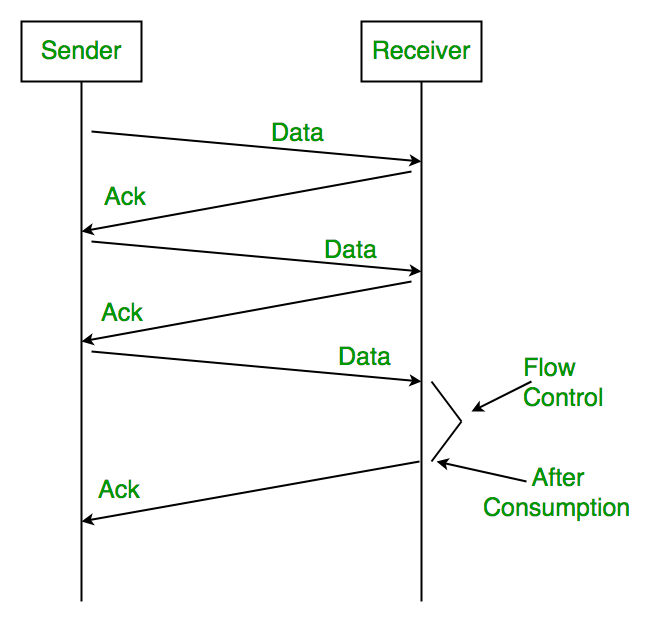 1) Sender A sends a data frame or packet with sequence number 0. 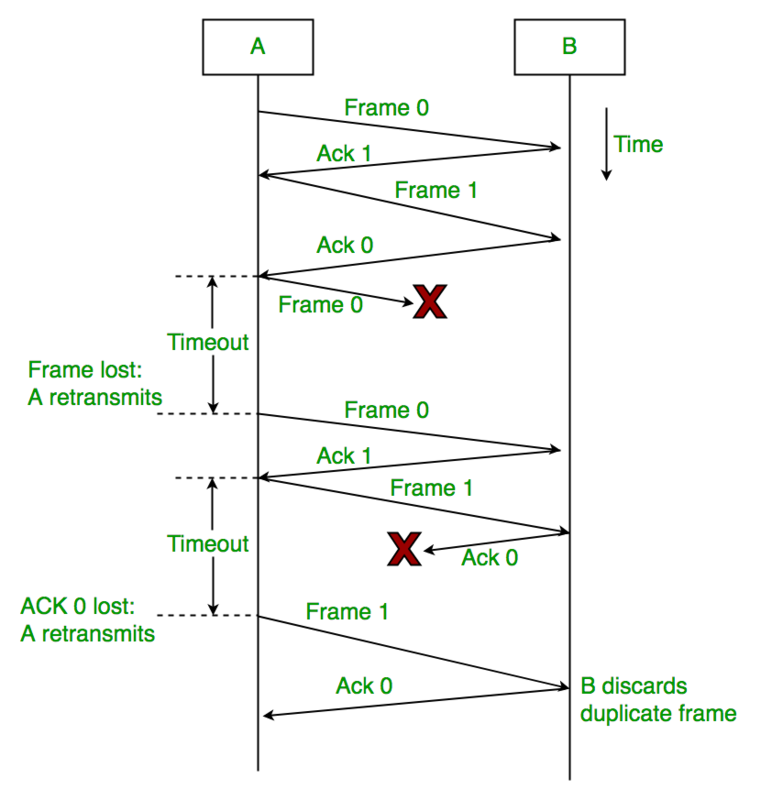 There is only one bit sequence number that implies that both sender and receiver have buffer for one frame or packet only. 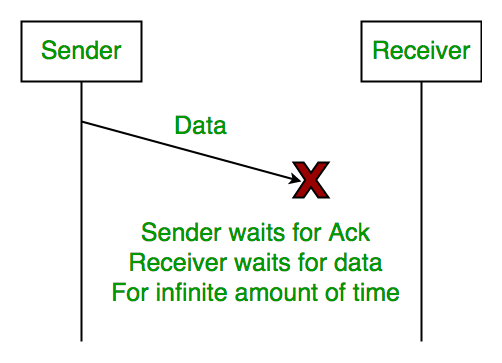 If Bandwidth*Delay product is very high, then stop and wait protocol is not so useful. The sender has to keep waiting for acknowledgements before sending the processed next packet. 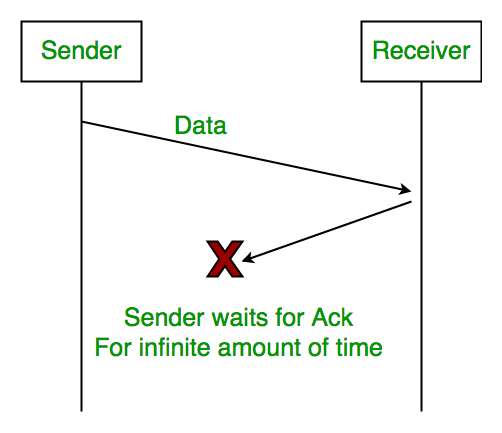 The Stop and Wait ARQ solves main three problems, but may cause big performance issues as sender always waits for acknowledgement even if it has next packet ready to send. 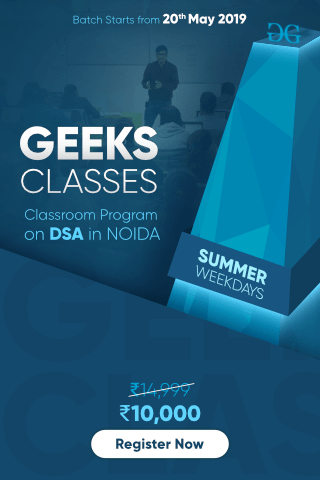 Consider a situation where you have a high bandwidth connection and propagation delay is also high (you are connected to some server in some other country though a high speed connection). To solve this problem, we can send more than one packet at a time with a larger sequence numbers. We will be discussing these protocols in next articles. So Stop and Wait ARQ may work fine where propagation delay is very less for example LAN connections, but performs badly for distant connections like satellite connection. first_page What’s difference between http:// and https:// ? last_page What’s difference between Ping and Traceroute?